President Mahmoud Abbas met with Israeli Member of the Knesset Zahava Gal-On in Ramallah, the official Wafa news agency reported. PLO Central Committee Member Muhammad al-Madani said in a news conference that the meeting focused on peace negotiations and possible repercussions in talks failed, the Wafa report said. 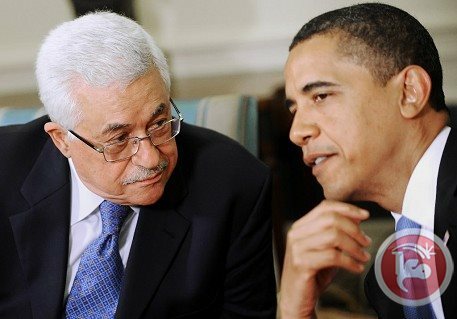 Al-Madani said that the PA was hopeful for upcoming meetings between Abbas and US President Barack Obama and Israeli Prime Minister Netanyahu. "We fully trust Israeli parties that support peace," he said. However, if negotiations fail, "we will go into the unknown." Speaking at the news conference, Gal-On reiterated her support for the two-state solution, praising efforts exerted by both sides to overcome obstacles and reach a framework agreement. Zahava is the leading member of Meretz, a left-wing Israeli Zionist political party. 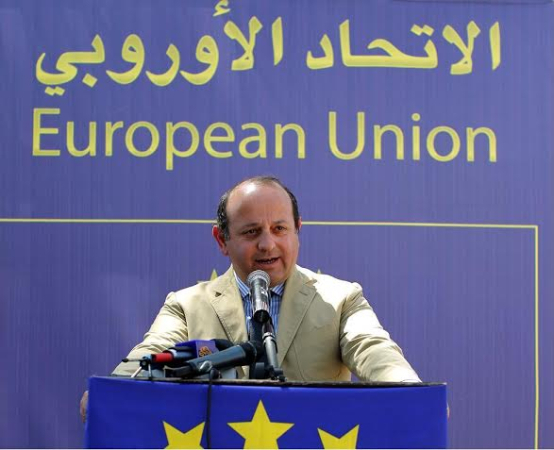 "The European Neighbourhood Instrument (ENI) will help to provide greater incentives to the Palestinian Authority to carry out further policy reforms in crucial sectors such as justice and security, human rights and good governance, and energy and water," says John Gatt-Rutter, the EU Representative in the West Bank and Gaza Strip, in an interview with the EU Neighborhood Info Center. 1. Which are the three main priority areas of cooperation in your country in the new programming period 2014-2020? Co-operation in Palestine takes place in very particular circumstances, in the context of Israeli occupation, with an Authority which does not have the full powers of a state government and where part of the Palestinian territory, the Gaza Strip, is run by de facto authorities with which the EU has no relations. Despite all these challenges, the EU remains at the forefront and committed to state-building in Palestine as part of its support for a two state-solution to the conflict. Consequently the EU is continuing to support the Palestinian Authority's institution-building process and help ensure efficient service delivery for all Palestinians. In this context, the EU will continue to provide direct financial support for the Palestinian Authority's recurrent expenditure, will support the Palestinian population in East Jerusalem and provide funding for Palestine refugees through the United Nations Relief and Works Agency (UNRWA). In line with the new European Neighborhood Instrument (ENI), EU financial cooperation will shift from an annual programming to a two-year programming covering 2014-2015. It will remain at approximately the same level (around €300 million per year) and closely aligned with the EU political objective of establishing an independent, democratic and sovereign state of Palestine living side-by-side with Israel and its other neighbors in peace and security. (iii) Water and land development. 2. The ENI will make funding faster and more flexible, allowing for incentives for best performers. What does this mean for your country? In the light of the complex reality on the ground, the new ENI will provide greater flexibility to the EU to respond more effectively to unforeseen challenges imposed primarily by the occupation, the current divisions between the West Bank and the Gaza Strip and the serious uncertainties surrounding the fiscal sustainability of the Palestinian Authority. Moreover, taken together with the EU-Palestine Action Plan, which serves as an agreed blueprint for partnership and reform, the ENI will help to provide greater incentives to the Palestinian Authority to carry out further policy reforms in crucial sectors such as justice and security, human rights and good governance and energy and water. Finally, the EU has recently pledged to provide an unprecedented package of political, economic and security support to Palestine in the context of a final status agreement. 3. If you had to mention only three concrete examples of successful cooperation in your country which would they be? Certain types of medical treatment, such as radio therapy for cancer, heart surgery for children or neurosurgery, cannot be provided by hospitals in the West Bank or Gaza. Patients who require such treatments are referred by the Palestinian Authority to one of the six East Jerusalem hospitals, which are an integral part of the Palestinian health system. For a number of years the EU has worked closely with the World Health Organization and the hospitals to make sure all patients receive the best possible health service. The EU support has allowed the hospitals to improve the quality of their health services and upgrade their status to the highest international standards. In the last couple of years, the East Jerusalem Hospitals faced major cash flow problems, which jeopardized their operations. The EU was among the few donors that responded imminently and helped the hospitals maintain their important services for the benefit of the Palestinian people. Our support to the East Jerusalem Hospitals does not come in a vacuum. It is part of our East Jerusalem programme which seeks to improve the socio-economic condition of Palestinians living in the city. 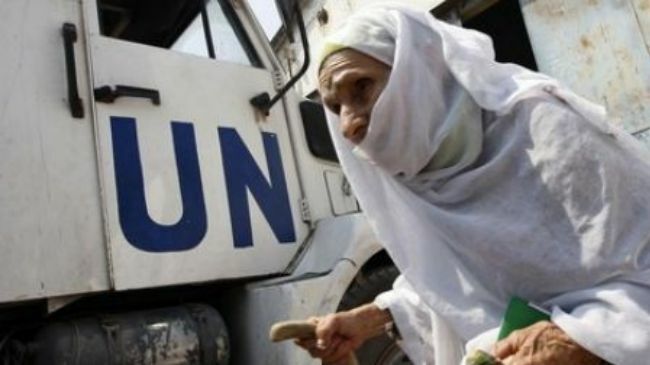 Without EU support the United Nations Relief and Works Agency for Palestine refugees in the Near East (UNRWA) would not be in a position to address the essential needs of millions of Palestine refugees and promote human development through education, health and relief services. This is particularly important in Gaza where more than half of the population are refugees. The longstanding and severe restrictions on the movement of people and goods have made day-to-day living conditions of people in Gaza ever harsher. Aside from the crucial services provided by UNRWA, the EU provides support for the population of Gaza in a number of sectors where we have the strongest impact, such as water, social protection and human rights. Through the PEGASE Direct Financial Support programmes, the EU is helping the Palestinian Authority meet its recurring expenditure with regards to salaries, pensions and social allowances in a regular and predictable manner whilst it moves ahead with structural and policy reforms (annual average of €150 million). PEGASE is a mechanism for channelling EU assistance in support of the Palestinian Authority and implementing its development and reform priorities. For example, the EU is covering almost half of the annual public expenditure on social allowances reaching thousands of Palestinian families living in extreme poverty in the West Bank and Gaza Strip. Meanwhile, it also supporting the Ministry of Social Affairs in developing a fully-fledged social protection system in line with international standards. According to the Palestinian Department of Antiquities, there are 944 archaeological sites in the West Bank and the Gaza Strip, while the number of monuments hit 10 thousand, the Palestinian Information Center (PIC) has reported. (Al Ray) Antiquities expert Dr Hamdan Taha said that the occupation is committing the most dangerous crime against the antiquities, with the aim of changing and falsifying the history of Palestine. He noted that the construction of the apartheid wall, in the West Bank, has led to the annexation of more than 270 archaeological sites and about 2,000 archaeological and historical landmarks, in addition to dozens of archaeological sites which were destroyed for the construction of the wall. The Palestinian Department of Antiquities and Cultural Heritage also pointed out that more than 500 archaeological sites and over 1,500 monuments in the West Bank have been stolen or destroyed by looters supported by occupation forces. 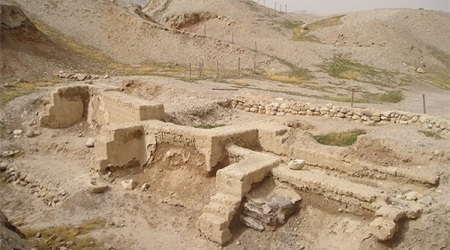 Researcher Mohamed al-Jamal said that the theft of antiquities is managed by Israeli officers, traders and dozens of semi-organized groups who are carrying out illegal archaeological excavations. Jamal noted that "according to statistics, one hundred thousand archaeological pieces are being smuggled abroad every year." For his part, lawyer Mohammed Nassar said that many countries have linked the theft of antiquities with treason; however, in Palestine there are not enough laws to deter criminal activities of antiquities dealers and smugglers. 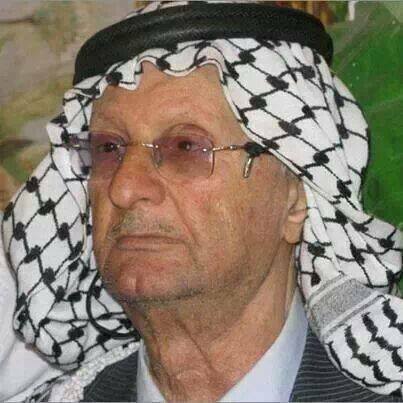 Palestinian poet Ibrahim Mohammad Saleh died on Sunday after a long fight with illness. His grandson, Ayham Matar, told Ma’an that Saleh, who is commonly known as Abu Arab, died in his house in Homs on Sunday afternoon. Abu Arab, deemed “the poet of the Palestinian revolution”, was born in al-Shajara village near Tiberia in mandate Palestine in 1931. He lived in a number of refugee camps in Arab states, before ending up in Syria. Shajara formed his first band which consisted of 14 singers in Jordan in 1980. His father was killed while fighting Israeli forces in 1948, while his son was killed in the Israeli invasion of Lebanon in 1982. 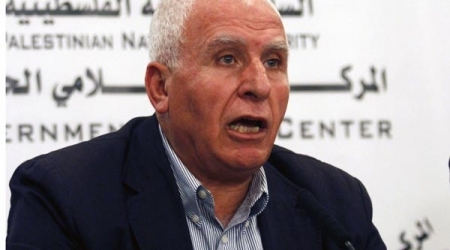 Hamas Movement on Sunday regretted the remarks of senior member of Fatah Azzam al-Ahmad accusing the movement of interfering in Egyptian affairs. The Islamic movement said in a statement that al-Ahmad 's comments are “opportunist” and demonstrate Fatah’s lack of credibility towards reconciliation. It added that Fatah failed to commit to the reconciliation entitlement not ending political mudslinging against Hamas. Ahmed told Egyptian Foreign Minister Nabil Fahmy during meetings on Saturday, Feb. 3, 2014 that his movement “reject the interference of Hamas or others in the internal Egyptian affairs,” according to Egyptian Youm7 publication. Hamas in return refuted in figures the accusations and condemned them as lies and fabrications. Some of the Palestinians indicted passed a few years ago, others like Hamas leader Hassan Salameh was sentenced by Israel to life imprisonment in 1996. While nearly half of them have never left outside Gaza, according to a statement issued in response to the Egyptian accusations. 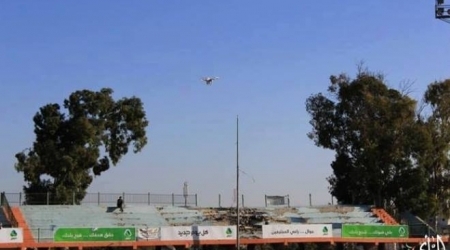 Hassan Masharawi holds with his hands the remote control device of a small drone capturing live pictures for a match played on Yarmouk playground in Gaza while Ahmed Masharawi, standing by his side, watching the match on a small screen. Media Town Company succeeded for the first time to bring a small drone with camera, specified in media photography, via Erez crossing in the north of the Gaza Strip two weeks ago. The company purchased the plane online. 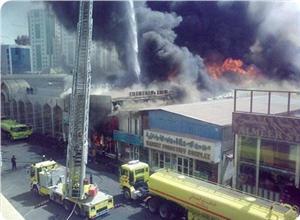 The plane has been undergone by the company team to make sure the quality of the captured images and the live scenes. It proved high performance and ability to be controlled remotely. By owning such a plane, Masharawi seeks adding professional touches to the content of documentaries that are produced by the company. He pointed out that the company’s team used the same plane outside Gaza in producing some documentaries before. 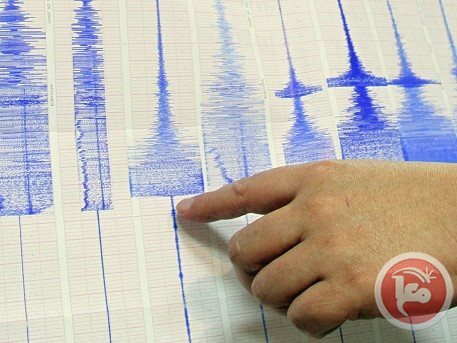 Shaking felt Friday evening and Saturday morning in the northern West Bank was "definitely" a series of two earthquakes and was not the result of explosions, Jalal Dabeek of an-Najah National University said on Sunday. Dabeek, who chairs an-Najah University's Center for Urban Planning and Disaster Risk Reduction, told Ma'an that fears that the quakes were caused by explosions were not justified, highlighting that the center's Seismic Risk Mitigation department detected earthquakes. He added that Jordanian experts also detected the earthquakes, although Jordanians did not report feeling them. Dabeek said that residents of the northern mountain of Nablus felt the earthquakes, while in the southern mountain they were not felt. He explained that the disparity was due to the fact that the first earthquake occurred 3.5 kilometers underground and the second occurred 2.8 kilometers underground. Asked why a huge blast was heard following the second earthquake in northern Nablus, Dabeek said it resulted from large rocks that had crashed underground. "If it was caused by an explosion, it would have been heard in the south as well," he added, allaying initial fears of the cause of the sounds. East Asian countries and international organizations have resumed the Second Conference on Cooperation among East Asian Countries for Palestinian Development (CEAPAD II) by renewing their commitment to continue supporting Palestinian development and peaceful dialogue in Middle East region. “[We] reiterate the commitment of East Asian countries and international organizations to support Palestine and the ongoing Middle East peace process, through supporting the development of Palestine, including capacity development and reinvigorating the business environment toward the realization of a two-state solution based on the relevant UN resolutions and the Arab peace initiatives,” according to a press release sent to The Jakarta Post on Saturday. The conference therefore also encouraged the private sector to play a significant role in further enhancing Palestinian economic development. Areas like capacity building, knowledge sharing and community development are among those priorities that should be highlighted in the future. The conference, which was held at the Foreign Affairs Ministry, was opened by President Susilo Bambang Yudhoyono. Yudhoyono had earlier expressed this country’s strong and solid support for the Palestinian struggle to gain independence through peaceful dialogue and other diplomatic undertakings. 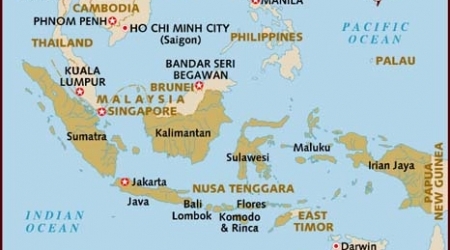 Indonesia has long stood among the countries opposed to what they regard as Israeli occupation of Palestinian soil. Closing all diplomatic doors to Israel is the option that has been taken by this country as a means to showing solidarity with their Palestinian counterparts. 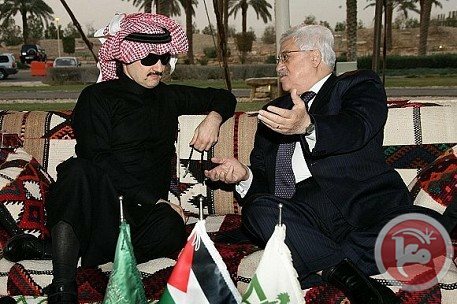 Saudi Arabian billionaire prince al-Walid Ibn Talal is scheduled to visit Ramallah on Tuesday and meet Palestinian Authority president Mahmoud Abbas and business leaders, a Palestinian businessman said on Saturday. Muneeb al-Masri told Ma'an that the Saudi prince would meet him and a delegation including other Palestinian businessmen on Wednesday at the Movenpick Hotel in Ramallah. Al-Masri confirmed that he was invited by deputy Palestinian Authority prime minister for economic affairs Muhammad Mustafa to join a reception for al-Waleed bin Talal on Tuesday. Al-Masri said that the prince, who has a net worth of around $30 billion, is a shareholder in al-Masri's group and that his visit "will be useful and effective." During the visit, al-Masri added, Palestinian businessmen will discuss preparations for an economic conference to be held in Palestine in August. Private sector, public sector, and civil society organizations are supposed to partake in that conference. In addition, bin Talal is expected to announce a donation for the Jerusalem Fund, an organization that does educational and humanitarian work in Palestine. He will also address possible plans to support the Palestinian economy in general. 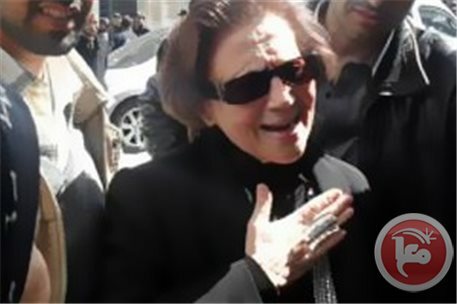 Former Algerian revolutionary Djamila Bouhired plans to visit the Gaza Strip on March 8 along with a delegation of 80 women from around the world to celebrate International Women's Day in the besieged coastal enclave. Undersecretary of the Gaza Strip Ministry of Foreign Affairs Ghazi Hamad told Ma'an on Saturday that Bouhired and the rest of the delegation wanted to celebrate the occasion with women in Gaza. Their ability to cross into Gaza is dependent on authorities at the Rafah crossing between Egypt and the Gaza Strip, Hamad added. Egyptian authorities have kept the crossing closed for extended periods of time since former president Mohamed Morsi was ousted in July 2013. Hamad added that Gazan authorities have completed all of the necessary coordination with Egypt, "but it is the Egyptian authorities who decide whether the Rafah crossing will be open when the delegation arrives." The Rafah crossing has been the principal connection between Gaza's 1.7 million residents and the outside world since the imposition of an economic blockade by the State of Israel beginning in 2007. Three Palestinian militants were injured after a wall collapsed during a training exercise in the southern Gaza Strip late Friday, medics said. 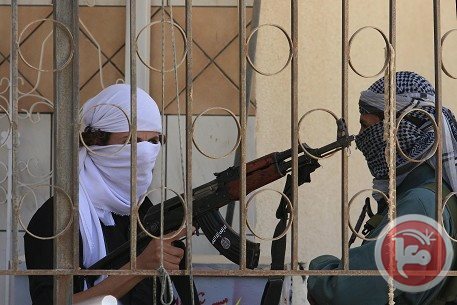 Medical sources told Ma'an that three militants received treatment after they sustained wounds during a training exercise in the city of Rafah. The political affiliation of the militants was not revealed. 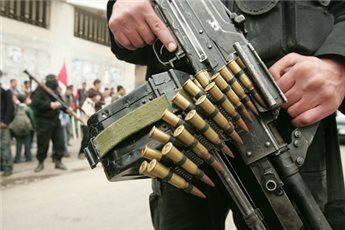 Unidentified militants kidnapped and assaulted a sheikh in the southern Gaza Strip early Saturday, locals said. Locals told Ma'an that Sheikh Majdi al-Mughrabi, whom they described as a "Salafi," was found handcuffed in Rafah city near the border with Egypt two hours after he was kidnapped. Al-Mughrabi was tortured during the kidnapping, locals said, without providing further details. Hamas movement extended condolences to Qatar over the fall of victims in the fire incident in a restaurant near a petrol station on Thursday. The fire was the result of an explosion in the gas tank on the roof of that restaurant in downtown Doha that killed 12 people and wounded 31 others one of them in critical condition. Ezzet Resheq, political bureau member of Hamas, extended condolences to the Emir, government and people of Qatar in a statement on Facebook on Friday. He said that the condolences are especially extended to families of the victims, and wished speedy recovery for the wounded. A delegation of more than 100 women is planning to visit the Israeli blockaded Gaza Strip to meet Palestinian women in the coastal enclave on International Women's Day. The members of the delegation come from countries such as France, Belgium, the United States and Ireland. The participants are part of an international campaign called "Women Against the Blockade of Gaza." The group aims to discuss and address the difficulties faced by Palestinian women in the besieged Gaza Strip. Non-governmental organization Code Pink: Women for Peace has said it is forming a US delegation of 15 women, who will join the international coalition. The purpose of the delegation, it has said, is to show solidarity with the women of Gaza, to bring attention to the unbearable suffering caused by the Israeli blockade, to educate people back in their home countries, to push for opening the Gaza borders, and to bring solar lamps to help with the electricity shortage. The humanitarian crisis facing Gaza has escalated as the only power plant in the Palestinian territory has stopped working since November 1 last year due to severe fuel shortage. Ashrawi to American Delegation: "Israel is Behaving as a Crusader State, Enslaving the Palestinian People"
PLO Executive Committee member, Dr. Hanan Ashrawi, told a visiting American delegation of presidents of Evangelical seminaries and universities that "Israel is behaving as a Crusader state and enslaving the Palestinian people on the basis of religion and institutionalized racism." Ashrawi's statements came in response to the latest Israeli illagal polices and measures on the ground. 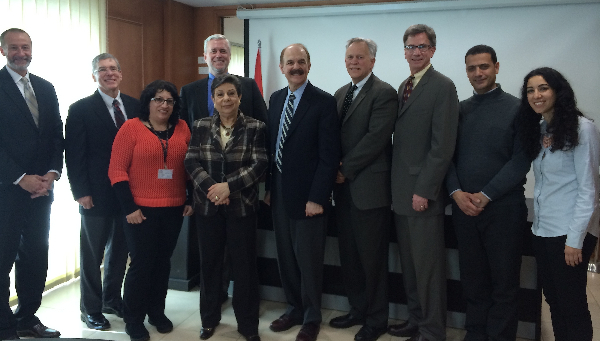 She also briefed the delegation on the latest political developments in Palestine, including the negotiations. In the meeting, Ashrawi answered questions regarding the siege on Gaza, Palestinian reconciliation efforts, Israel's deliberate campaign to strangulate Jerusalem and to transform the full geographic, demographic and cultural character of the city, Palestinian political prisoners, the U.S. Congress and AIPAC, and the BDS movement. "We need to challenge the distortions and misrepresentations that have tainted some mainstream media in the United States. Americans need to understand that the Palestinian people represent a nation under occupation suffering from a system of apartheid and ethnic cleansing, and it is time for them to speak out against America's unquestioning support of Israel," concluded Dr. Ashrawi. In a separate meeting yesterday, Dr. Ashrawi met with Austrian Representative to the State of Palestine, Dr. Leonhard Moll. During the political briefing, both parties discussed the ongoing negotiations, regional developments, Austrian-Palestinian relations, and issues of mutual cooperation.